You stumble across the maze. You have heard when you complete 3 stages, you will earn 8 stacks of diamonds and 5 butter stacks (Kat face -3- ).But there is an old obsidian rock so stiff that you have to mine it with a diamond and butter pickaxe to break it.You are desperate to break the obsidian. Are you worthy to break the obsidian? 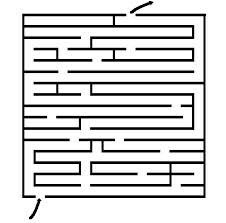 make it through the maze! Anyway, the grammatical errors detract from the plotline(...ish thingamajig? ), though I can understand if people aren't native English speakers. The story is nonsensical, which can be humorous, but for crabby old men like me, it was just annoying, especially since it persisted throughout the whole game. For me it lost the humor, I think because of the absurdity of the outcomes. I really like that! It was quite funny too, when I realized it was based on Minecraft! I LOVE MINECRAFT!!!!!!!!!!!!!!!!!!!!!!!! Haha this was pretty good. I love the Nyan cat part!!!!!!!!!!!!!!!! This game is fantastic and you have done a great job!!!!!!!!!!! !